PR Info & Media Kit for A Daddy Blog — adaddyblog.com | Welcome to ADaddyBlog.com! Thanks for dropping by A Daddy Blog. We’re told it is somewhat of an anomaly in a world full of excellent albeit estrogen fueled mommy blogs. 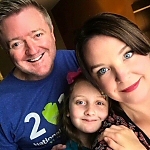 A Daddy Blog targets parenthood from the father’s perspective, and includes a focus on social media, entertainment, travel, technology, coffee, cars & cuddles. According to recent research from Nielsen, the advice of family and friends is the most persuasive (77%) when looking for information about new products. Professional/expert word-of-mouth advice (66%) comes from trusted influencers like Michael Schmid. The average U.S. consumer spends 60 hours a week consuming content across devices. We coordinate integrated social media campaigns, incorporating components such as Twitter Parties—fun, fast moving online events garnering tremendous buzz and excitement for existing brands as well as new product releases. If we feel they will add value to our online community we product reviews, host giveaways and also sell ad space on adaddyblog.com. 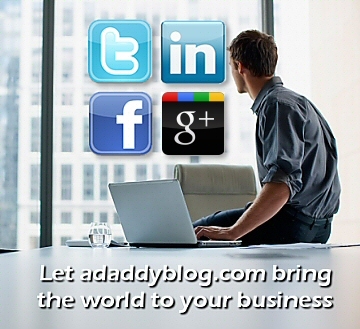 We have more than 30,000 engaged followers on Twitter and Facebook under our “adaddyblog” brand, creating hundreds of thousands of impressions daily and we receive thousands of unique visitors to our websites each week. If you subscribe to the questionable belief algorithms can provide an accurate measure real world influence, you can confirm adaddyblog on klout.com. Let us help make you even more successful. While word-of-mouth has always been important, social media is an ideal platform for influencers to spread their ideas and purchase power. Brands and the firms representing them are tapping this opportunity with integrated campaigns via influencers like Michael Schmid. We’re thrilled to be a part of your social engagement strategy. For any visitors newer to all of this, we are happy to provide advice on the many successful ways of harnessing the power of social media. Thanks for dropping by adaddyblog.com. Contact us now.